We are grateful to the Legacy Society members who have agreed to share their stories and their dreams for the future here. Some of our Legacy Society donors are profiled below. It was a fateful day in 2008 when Bill Robinson, 84, met Betty Scharf, 77, at their retirement village in Southern California. Their shared love of duplicate bridge spawned an unexpected romance. Then, just a little over a year later, their close relationship led to a lovely, generous gift to The ALS Association. In December 2009, Bill's sister, Nancy Reckinger, passed away. In her will, Nancy asked something rather unusual of Bill. She wanted him to select charitable organizations worthy of receiving her estate, which was surprisingly large for a woman who'd dedicated her life to public education. Bill turned for advice to Betty, his "sweetheart." Betty shared her hopes that Bill might consider a gift to The ALS Association. Her husband died of ALS in 1990 at age 58, and Betty was concerned her three children, all now in their fifties, could possibly face a similar fate. Bill, who said he shares a "big, emotional attachment" to Betty's children, agreed immediately to give one-third of Nancy's estate to The ALS Association. With Betty, Bill chose to support the North East ALS Consortium (NEALS), a network of clinical trials centers throughout the U.S. that is ready to test promising compounds in people with ALS, as well as provide opportunities for training of newer investigators to participate in clinical trials for ALS. Betty is excited to be making this difference in the lives of others. "I just can't tell you how thrilling it is to me," she commented. "Not just for my children and grandchildren, but I've worked very hard for The ALS Association, and I saw all the wonderful people whose lives were touched by this terrible, terrible disease." Bill is philosophical about honoring his sister's memory, noting, "I hope this story might cause other people to join the fight, and that it inspires and motivates others to follow suit." Even at age 79, E.G. Booth was a fountain of energy. Many days, he swam a half-mile in the pool at a local Iowa college. He played trombone in three bands, volunteered for several charities and mowed lawns at his family's farm. But in April 2003, E.G. 's energy was waning. His back and hip hurt, and his trombone case suddenly seemed too heavy. As the summer progressed, he was getting stiffer and weaker. In November, after 25 doctor visits, a neurologist in Iowa City finally gave E.G. and his wife, Carol, a definitive diagnosis: ALS. Although his breathing was declining, E.G. still kept up many of his activities. "He never complained", says Carol, who recalls that E.G. received very helpful information from the medical staff at The University of Iowa Hospitals and Clinics about what to expect as the disease progressed. On Jan. 21, 2004-just two months after his diagnosis-he died suddenly while watching TV at home with Carol. "There was no warning whatsoever," Carol recalls. "It was startling to have it be over so fast." Shortly after his death, Carol received a letter from Jason Lee, the executive director of The ALS Association's Iowa Chapter. Impressed with The Association's work to find a cure for ALS and support patients and families, she began making donations to the chapter. Recently, with the full support of her children, she decided to make an even bigger difference by naming The ALS Association as a beneficiary in her will. "In addition to working on the science of ALS, The ALS Association genuinely cares about the people and families affected by this disease," she explains. "That means a great deal to me." Originally from Philadelphia, Carol met E.G. while working as a horseback riding instructor at a summer camp in Connecticut, where E.G. was the athletic director. By the end of the summer, they were engaged. The couple settled in Grinnell, Iowa, where E.G. worked as a professor and track coach at Grinnell College. They later moved to Indianola, Iowa, where he headed the education department at Simpson College for 30 years. The Booths were married for 54 years. In addition to their four children, Carol has four grandchildren and four step great-grandchildren adopted from Russia. She still lives in Indianola, where she volunteers for community and charitable causes, plays hand bells in her church choir and directs a chimes choir. She hopes that more people will join in supporting The ALS Association's mission. "There are so many people who have never even heard of ALS," she notes. "We need to spread the word and help fight this disease." Nearly ten years after the death of her high school sweetheart and beloved husband, Tom, from ALS, Jayne Cawthern still has a catch in her voice when she speaks about the man who left this world far too early yet had profound impact on so many during his life. "My greatest fear is that he won't be remembered," she said. "We keep a 'Dad' book with Tom's favorite expressions in it as a reminder. Our youngest child was only nine when her father died, so it's important to keep his memory alive." Keeping Tom's memory alive is a passion Jayne shares with each of their six children and with the wide circle of friends and colleagues who knew and loved him. Tom went to medical school and worked as a pathologist. After his diagnosis, each of his partners pitched in so he could continue to work for as long as possible. Another friend visited regularly, encouraging Tom to go out with him. "Both friends and colleagues were gifts to our family," Jayne said. "The ALS Association was also a gift. I truly believe God was looking out for us the day He brought us to them," said Jayne. "They were always five steps ahead of us. While we were still coping with the diagnosis, they pushed us to adapt the house and for Tom to be measured for a motorized wheelchair. We couldn't have survived without them," Jayne added. Today, Cawthern's entire extended family and network of friends and colleagues are giving back that gift. "All the kids are putting fundraising messages on Facebook and doing Walks," said Jayne. "And the people who knew Tom are contributing, too. Every year on Tom's birthday, I get a notice that a gift has been given in his honor." Jayne has made a provision in her will for The ALS Association along with each of her six children. With determination in her voice, she said, "My will is divided seven ways. If I have seven dollars left, The Association will get one. It's a priority. Once it happens to you, you either try to never think about it again, or you find satisfaction in doing what you can so other people don't have to suffer." Tom Cawthern used to come home from work, have dinner with his family, and then reexamine the pathology slides he'd reviewed that day. He knew that someone's life might depend on the outcome. Jayne Cawthern knows that someone's life-many lives-may depend on her bequest. "I'm determined to do what I can to help find a cure. I would donate every penny I have if I could," she said. "So I'm telling my story now in the hope that it will inspire others, and I will feel comforted knowing that my bequest will help even after I'm gone." Don Mills has many reasons for supporting The ALS Association. His wife of 42 years, Edna Mills, died of ALS in 2000. Decades earlier, Edna's father and uncle also died of the disease. Today, Don has yet another reason to support The Association: the future health of his three adult children. "I'm particularly interested in research that's focused on the familial aspect of ALS, because it seems like there's a definite link in our family," said Mills, 79, who recently established a charitable gift annuity for The ALS Association to support ALS research. "My kids might be at risk." Don and Edna's life together began in 1957, when they met in the then-quiet seaside town of Ventura, Calif. Edna was a legal secretary, and Don had graduated with an architectural engineering degree from California State Polytechnic University, San Luis Obispo. They met in the church choir-and were quickly smitten. They married a year later and settled in Ventura. Don began what would be a 43-year career in civil engineering, designing water supply facilities throughout Southern California. Meanwhile, they started a family, and Edna stayed home to raise their children: Colleen, David and Carol. "She was energetic, enthusiastic, caring and loving," Mills continued. "She had lots of friends, so she was our social secretary, too!" he added, laughing. Edna also was a committed volunteer. Among other activities, she spent three decades volunteering for the Ventura County Fair, served on the Ventura Parks and Recreation Commission for 12 years, helped update the city's charter, was active in raising funds to renovate the city's pier and was named "Citizen of the Year" by the chamber of commerce. The first sign of illness appeared in May 1999, when she began having trouble lifting the front of her foot, a condition called "drop foot." A month later, Edna was diagnosed with ALS. Her disease progressed rapidly, but she remained committed to her volunteer work, continuing to serve on the Parks and Recreation Commission and attending the dedication ceremony for the Ventura Pier's new terminus, which was named "Mills' End" in the couple's honor. Just five days after that ceremony, on April 5, 2000, Edna passed away peacefully at home after a 10-month battle with ALS. She was 63. "I feel fortunate I was able to care for her," said Mills. "We made every day count." Today, Mills stays busy as a volunteer, using his engineering skills to assist with rehabilitation projects at his church and Channel Islands National Park. He also has three grandsons in college. He and Edna began supporting The ALS Association in the early 1990s, and Don has continued that support. Recently, when a CD matured and his bank offered a minuscule interest rate, he used the funds for a charitable gift annuity, providing him with an attractive payment rate and substantial annual income which is guaranteed for his life. "The ALS Association is at the forefront of ALS research, and it's so important to support this effort," he explains. "Little by little, the knowledge is growing. That's what gives me hope for the future." Doris Horner describes her late husband, Reynold "Pat" Horner, as "just one of those behind-the-scenes good guys." "Family was extremely important to him," said Doris, 81, who recently established a charitable gift annuity for The ALS Association. "He enjoyed the wide-open spaces and farming-that was his life." Both from Illinois farming towns, Doris and Pat met through a mutual friend and married in 1952. They settled on Pat's family farm in northwestern Illinois and raised a son, Mark, and a daughter, Ann, who eventually became a full colonel in the U.S. Army. Even into his 60s, Pat was still active and enjoying the farming life, with Mark at his side. But in late 1994, he began having trouble lifting the front of his foot-a condition called "drop foot." A local doctor diagnosed him with ALS after just two appointments. "I remembered the Lou Gehrig story, but I had never known anyone with ALS," Doris said. "I couldn't believe it. It was very hard to accept at first." Their small community rallied around them, with friends coming by often to help and to play cards. One friend even built a special card holder for him. Meanwhile, Mark took over the farm and helped his mother care for Pat at home. After her husband's death in 2000, at the age of 71, Doris learned about The ALS Association and began making annual donations. But earlier this year, she decided she wanted to do something more and established a charitable gift annuity, which provides donors with guaranteed income for life in exchange for a gift of cash or stock. "It just seemed like the best way to go," she explained simply. "As the saying goes, 'I'm not rich, but I'm not a pauper, and I had some money I thought I could make useful to support the fight against ALS." Doris still lives on the farm where she and Pat spent their lives, and she keeps busy playing piano, helping with music contests at local schools and serving as a part-time organist at her church. She has three grandchildren and one great-grandchild. "ALS is such a devastating disease; we need to find a solution for it," she said. "It feels good to know that I'm doing something to move that effort forward." Navy Captain Robin Quigley finished off her distinguished career in San Diego, Calif., as the commanding officer of one of the Navy's largest technical training activities. She assumed command of the 4500-man Service Schools Command in April 1973, and at her retirement ceremony in September 1974, she remarked that it was her privilege to leave a legacy to the Navy of "the finest group of committed professionals who do not operate this Navy - they perpetuate it." That professional legacy transitioned later into a personal long-term covenant to care for her aging mother. It was during this time that, although her family and friends had never been touched by ALS, she was inspired by Joe Martin, a community leader in nearby Charlotte, N.C., who had chosen to take his ALS diagnosis public. When asked how he managed to cope with the challenge, he replied simply: "you do what you've been given to do." As Robin notes, "hearing" this sophisticated, worldly man describe how he dealt with the indescribable – ALS – in terms as familiar, as unassuming as the sun rising every morning, resonated deeply. It was a compelling call to make his mantra an integral part of her life, and it began her commitment to a decade of annual gifts to The ALS Association. Now, at 80, Robin has recently named The ALS Association as a beneficiary in her will. She has joined the ranks of a growing number of friends who have made us part of their family by including The Association in their estate plan. In recognition of her generosity, Robin has been welcomed as a member of The Legacy Society. This generous group of donors provides vital support for our global research efforts to find a cure for ALS while helping those currently battling this disease. Gerald Ross was only four years old when Lou Gehrig became a New York Yankee in 1925. That year, Gehrig began his record-setting consecutive game streak of 2,130 games, earning him the nickname "Iron Horse." Gerry, a life-long baseball fan, vividly remembers sitting by the radio in his home in Michigan as Gehrig delivered his famous "luckiest man" speech on July 4, 1939. An iron horse himself, Gerry is still working at 87 years of age, representing furniture and lighting companies as he has for more than 50 years. When a colleague of his died recently from ALS, Gerry sought to combine his passion for "doing some good for others," with his desire to pay tribute to his friend, by establishing a charitable gift annuity with The ALS Association. It was a match made in heaven-or more accurately, a high school gymnasium. The year was 1967, and Gene Schmidt was working as the boys' PE teacher at a high school in a Chicago suburb. Just 22, he was funny, outgoing and athletic and had recently graduated from Western Michigan University, which he had attended on a baseball scholarship. As it so happened, another recent college grad-a tall, pretty woman named Sandra-got a job as the girls' PE teacher at the same school. It was only fitting that they fell in love. "I guess you could say it was a high school romance," Sandra said, laughing. "The kids thought it was wonderful." Two years later, they were married-beginning a life together that would span three decades. The Schmidts had a son, Zach, and then a daughter, Casey. Gene became a school superintendent and later launched a career in finance in New York. Sandra, meanwhile, became an elementary school teacher, a reading specialist and later, a special education teacher for elementary and middle schools. "We weren't perfect people or anything. We had our problems like everyone else," she insists. "But we were happy." Then, ALS intervened. The first symptoms started in 1989. Gene had started to complain about a numb and tingly feeling in his hands. He thought it was carpal tunnel syndrome, from too much time on the computer. An orthopedic doctor sent him to a neurologist, and several months later, he was diagnosed with ALS. He was 44. Zach was 13, and Casey was only 10. "We were actually fortunate, because his disease progressed slowly," Sandra said. "He was mobile for a long time. Even at the end, he could still walk with help." In 1998, nine years after his first symptoms, Gene passed away at the age of 52. Since his death, Sandra has been a committed supporter of ALS research and The ALS Association. Now retired with three granddaughters, she recently completed her third charitable gift annuity for The ALS Association. "I guess I give for selfish reasons, because of Gene and everything he went through," explains Sandra, who lives on Long Island, N.Y. "I very much would like to see the day when science knows how to prevent ALS or stop it from progressing." The daughter of an Indiana firefighter who worked a second job to send his five children to college, she said that growing up, her family had little money left over for charity. It was Gene who taught her the importance of giving back. For years, he volunteered to run fundraising events for a local cystic fibrosis organization. He also volunteered for the YMCA and local schools. "He always felt strongly that we needed to give back to society. I learned that from him," she said. "I can't think of a better way to honor him than to give back to fight ALS." Mildred Landecker’s passion in life has always been music. She trained at the Juilliard School of Music for five years and, at age 19, received her master’s degree from New York University. She taught music at the prestigious New York High School of Music and Art, authored three technical books about music, and gave piano recitals all over the country. To this day, at 91, she teaches music at a local college and has a number of private piano students. Mildred’s other passion in life was her husband, Dr. Louis Landecker, whom she met on a tennis court in Central Park in New York City in 1937. “He was the athlete. I was the athlete’s foot,” Mildred jokes. With only one child  a son, Peter  Mildred wanted to find a way to support ALS research while passing her assets to Peter. After speaking to several advisors and gift planners, including at The ALS Association, Mildred established a charitable lead trust to equally benefit The ALS Association and another favorite charity of hers. Under this arrangement, The ALS Association will receive payments from the trust for 10 years, after which the assets remaining in the trust will transfer to Peter. That would be music to her ears. Lorraine and her husband bought their home over 40 years ago for $25,000. At the time, the home was a dilapidated mess, but they recognized that it was in a nice neighborhood and that the lot was large enough to make it a worthwhile investment. During their 60 years of marriage, Lorraine and her husband painstakingly remodeled the house - little by little, room by room. They did all the work themselves, from the kitchen to the bathroom to the roof. They planted a lush vegetable garden in the back yard and added a gazebo and fountain. They turned the property into their dream home. Years later, when Lorraine was dying of ALS, she asked her husband to make her a promise: "Whatever you do, when you sell the house, give the money to ALS research so that someone doesn't have to suffer like I have," he recalls her telling him. In the time since Lorraine's passing in 2000, her husband took action to fulfill her wishes. He included a provision in his living trust stating that the proceeds from the sale of their home will be given to The ALS Association and directed to The ALS Association's cutting-edge research program. "It made me happy to do it," he says. "This was my wife's wish, and I want to honor her wish." Today, the home is worth many times more what Lorraine and her husband paid for it. Through his gift to The ALS Association, Lorraine's husband is able to ensure her legacy - one that he hopes will lead to a cure. "I hope this gift helps find a cure for this incurable disease," he says. "Other diseases get so much more funding, and there isn't enough going to ALS." Lorraine's husband has a suggestion for others who went through what they did: leave a legacy of hope for future ALS patients. "Those that see a loved one die - they're the ones who should give so that others don't suffer." By turning their dream home into a gift for ALS research, Lorraine's husband is hopeful that her wish for a cure will one day come true. Paul and Maggie Molony have been married 52 years. Paul worked for a major oil company producing television commercials while Maggie stayed home to raise their four children - Karen, Laura, and twins Brian and Susan. Maggie says, "Our lives were filled with so much happiness." Even so, the threat of ALS lingered in Maggie's mind. Her mother, grandmother, three aunts, an uncle, and a cousin all died of ALS. Maggie explains, "I spent most of our married life thinking and dreading the possibility of being stricken with this horrific disease." What happened next was unthinkable. In 1987, Karen passed away from ALS. Then Brian. Then Laura. Finally, Susan passed away from ALS in 1998. Maggie recalls, "I never dreamed that one day our four adult children would be the next victims and not me. We were completely grief-stricken and devastated." It was during Susan's illness that the Molonys turned to The ALS Association for help. "Since then, we have always had a shoulder to lean on. As a result, we consider them part of our extended family." After Susan's passing, Maggie and Paul decided to do something in memory of their four children: include a bequest to The ALS Association in their wills. "When Susan passed away, there was no doubt in our minds that The ALS Association would share in our wills," Maggie says. The Molonys are hopeful that their gift will help The ALS Association continue its world-class research efforts. "My wish is to open new avenues of more research on stem cells and to find a cure in time so that our eight grandchildren and future family members may live in peace without the fear of being stricken," Maggie says. Having lost their four children to ALS has not deprived the Molonys of years of wonderful memories, nor of hope in the future. "We know this is what our children would want us to do," she says, "so that other young people might have a chance to live out their lives. We would strongly suggest that others remember The ALS Association in their wills so that one day we can say, "Mission accomplished!" Samuel Gleckman had an upbringing that was based on the philosophy that if you work hard, you will achieve success. He was a strong man who drove a milk truck until he was 60. After moving his family to California in 1963, he continued to work as a delivery man for a catering company. He was the best role model a son could have, and indeed Roger Gleckman used his father's hard work ethic to finish law school and become a successful attorney. But after an incident at a family event in 1988, it was time for both father and son to face the biggest challenge of their lives. "We didn't recognize what it was at first. My father had trouble opening a door because he just couldn't grasp the door knob," said Roger Gleckman of his father's first experience with ALS. As with many people battling amyotrophic lateral sclerosis, his father had to contend with not only a devastating disease, but also a medical community that was still very much in the dark regarding the symptoms associated with it. "We took my father to a neurosurgeon and because of the medical community's ignorance of the symptoms, my father's ALS went untreated in the early stages of the disease," Gleckman explained. Unfortunately, the subtle symptoms of ALS crept up on Samuel Gleckman in an unsuspected manner as with most ALS patients. "He had a gradual onset of symptoms. First he couldn't grasp objects in his hand, then he experienced tingling in his arms. After a year, he lost the use in both of his legs," said Gleckman. Within six weeks of the diagnosis, Gleckman moved his father into a nearby apartment. Soon thereafter his father's health slowly deteriorated, and after a two year struggle with ALS, Samuel Gleckman passed away quietly at a Los Angeles hospital in 1990. Having spent years helping people as an immigration attorney, the younger Gleckman saw an opportunity to help those fighting with ALS. But unlike many people who donate to The ALS Association by simply writing a check, Gleckman decided to tackle the disease a different way. More specifically, he battles ALS by having established a gift arrangement known as a charitable remainder trust, which allowed him to transfer highly appreciated assets into a trust without incurring the prohibitive capital gain tax. The trust pays income to Mr. Gleckman and his wife for their lives, after which the assets are distributed to The ALS Association. According to Gleckman, this was the most beneficial and effective way to contribute. "It was recommended by my accountant that I make a gift [to The ALS Association] through my estate plan. This was the best fit based on my financial standing and allows me to contribute a large amount of money in a very effectual way." Gleckman went on to state, "I would definitely urge everybody reading this to make charitable provisions in their financial planning." Like many people affected by this disease, Gleckman wants his donations to make a difference with regards to medical research. 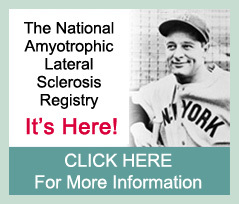 And indeed, since his father's death 16 years ago, much progress has been made with ALS. New evidence shows that some patients are living longer due to clinical management interventions and new medications, scientists are narrowing in on the responsible genes, and there's a renewed sense of hope with advancements in stem cell research. These steps forward are possible because of dedicated people such as Roger Gleckman. "Every dollar counts," as he puts it, in the uphill fight to find a cure for ALS. Gleckman also has some words of encouragement for anybody recently diagnosed with ALS: "Be positive and make the most out of the time ahead. It's also a good idea to record your thoughts on video and appreciate the time you have left," he said, and went on to modestly explain, "I just want to contribute whatever I can and make the lives of those dealing with ALS better." His enthusiasm and commitment to defeating this disease is unfaltering and an inspiration. A parent’s love for their child is the greatest of human emotions, and it forms one of the strongest bonds imaginable. The love Don and Mary Lois Long had for their son, Jeff, gave them the strength to cope and persevere with any obstacle that life threw at them -- including ALS. In 1985, Don and Mary Lois were in their late 60s and ready for retirement when they received the devastating news that Jeff had been diagnosed with ALS at the age of 36. Like many people with Lou Gehrig’s disease, Jeff was an athletic person who was an accomplished gymnast in college, specializing in the parallel bars. After he graduated, Jeff started a successful retail shoe business, got married, and had three children. Jeff’s wife was a nurse who knew exactly what ALS did to patients and families. She decided it would be too much for her to handle, and she subsequently filed for a divorce. According to Don, Jeff handled this heartbreaking turn of events the best he could. “Jeff was an unusual young man in that he was even-tempered. He accepted his fate and did the best he could to get the most out of life.” To be close to his kids, Jeff bought a house for his ex-wife and their children a few miles away, but now he had to face this unforgiving disease alone. Putting their retirement plans on hiatus, Don and Mary Lois moved to Kansas City from Columbia, Missouri, to be with their son and assist in his care, as well as provide emotional support for their young grandchildren. This was the beginning of the Long family’s fight against ALS. During the years they cared for Jeff, Don and Mary Lois became heavily involved with the Keith Worthington Chapter of The ALS Association. They made donations, helped with newsletters, mailings, events and even visited other ALS patients. Eventually Don was elected to the chapter’s Board of Directors and he brought a sense of realism to other members of the Board because of his first-hand experiences with the disease. Four generations of the Long family, circa 1981. From left to right: Don Long, Don's father Clarence, Don's grandson Ben, and Don's son Jeff, who died of ALS in 1990. In the winter of 1990, Jeff lost his battle with ALS. “That morning he wanted to tell me something, but he just couldn’t do it. He laid back and peacefully passed away,” recalls Don of his son’s final moments. After five years of caring for their son and grandchildren, Don and Mary Lois continued their son’s legacy in Arizona by founding The ALS Association’s successful Valley of the Sun Chapter, now known as the Arizona Chapter. Mary Lois has since passed away and, although Don is no longer active with the chapter, he still continues his family’s legacy by contributing to The ALS Association through a charitable gift annuity. With this financial arrangement, Don transferredsome assets to The ALS Association, which The ALS Association reinvested. In return, Don receives fixed income payments from The ALS Association for his entire life, after which the funds are available for use in the fight against ALS. In addition, Don received an income tax charitable deduction the year he established his gift annuity. “I know the money given to The ALS Association will be used for the betterment of ALS patients,” explained Don on why making gifts to The ALS Association is so important for those living with this disease. His impact on the ALS community has been immeasurable, but the greatest gift Don ever gave was being there when his son needed him most. Payments made under a charitable gift annuity are backed solely by the full faith and credit of the issuing organization, are not insured or guaranteed by an insurance company, are not protected by any insurance guaranty association, and are not backed in any way by the states. Claire and Rod Peterson were a successful TV writing-producing team. Ernie Wallengren, one of Claire’s five children, would follow in her footsteps and also go on to have a career writing for television, working on such shows as Life Goes On, Baywatch, and Doc. Ernie lost his battle with ALS in May 2003. Ernie was 51, leaving behind a wife and five children. Before Ernie died, The Association approached the family about establishing a research fund in his name. “Ernie decided that stem cell research was ultimately the most promising approach to finding a cure for ALS, and so The E.F. Wallengren Fund for ALS Research was founded,” Claire says, to keep Ernie’s dream of a cure alive. Recently, Claire was looking for ways to combine a gift to The ALS Association with income that would supplement her pension. “It seemed natural to take advantage of The ALS Association’s gift annuity program. My donation not only provides me with generous payments but a helpful tax deduction as well.” Claire’s gift annuity has been earmarked for the Fund that bears her son’s name.